Don Hart is the Founder and President of Heritage Defense, a national, non-profit legal advocacy organization. He is an attorney, rancher, pastor, and homeschooling father of seven. 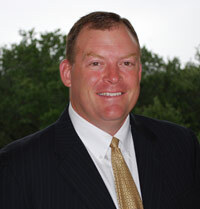 Don Hart holds a Bachelor’s of Business Administration from the University of Texas and a Doctorate of Jurisprudence from Texas Tech Law School, where he was a member of state and national moot court teams and received the American Jurisprudence Award in Trial Advocacy. Even prior to launching Heritage Defense, a significant part of his practice has involved fighting to defend Christian, homeschooling families against usurpatious government interference. Don is honored to serve as an elder in his local church, which meets in Cedar Park, Texas. Above all, Don aspires to be a devoted husband to his bride D’Ann, faithful father to his seven children (Emalee, Katherine, Hannah, Valor, Victor, Jackson, and Faith), and a humble bondservant of the Lord Jesus Christ. Bradley Pierce is a co-founding attorney of Heritage Defense, where he helps defend the parental rights of Christian homeschooling families around the country against threats by social services. After being homeschooled in the late 80′s through graduation, Bradley earned a degree in History and English from Baylor University while serving as student body vice president, then went on to earn a Juris Doctor degree from Baylor Law School. He and his wife Cindy have seven children. In addition to our staff attorneys, Heritage Defense has contact attorneys in all fifty states to assist with cases when needed.